Traveling is such an incredible past time and something I have been fortunate enough to experience a lot in my life time (thank you for allowing me to go to Europe when I was 15, Mom and Dad). I love all of the sights, sounds, tastes and opportunities you get to experience by traveling. Tolar and I really enjoying traveling together (thank goodness) and definitely hope to pick up our traveling again very soon. Since we've been together we have taken a Bahamian cruise, honeymooned in Italy (Rome, Florence and Venice), celebrated our 1st wedding anniversary in Hawaii, traveled to Vegas with Tolar's family, celebrated Halloween in Boston (and Salem! ), took K on her first trip to Disney World and visited Philadelphia, NYC and Seattle. And of course some other states have been thrown in there along the way. Tolar has even crossed a fun item off his bucket list and has visited all 50 states - which he achieved by the time he was 30! As we enter the second and final year of what I like to call our "transition" season, I find myself daydreaming about things we will be able to do again after this season. And travel tops the list! So I put together a list of places I would like to visit in my lifetime. These are in no particular order, just places that I find fascinating/would like to one day visit. 8.) Take another cruise to anywhere! I hope you get to cross a few of these off your list. You have a really great list! Greece is totally on my list as well and Amsterdam too! You definitely HAVE to go to Chicago--it is seriously one of the best big cities in the states! San Francisco and Chicago have to be two of my favorite US cities that definitely won't disappoint! 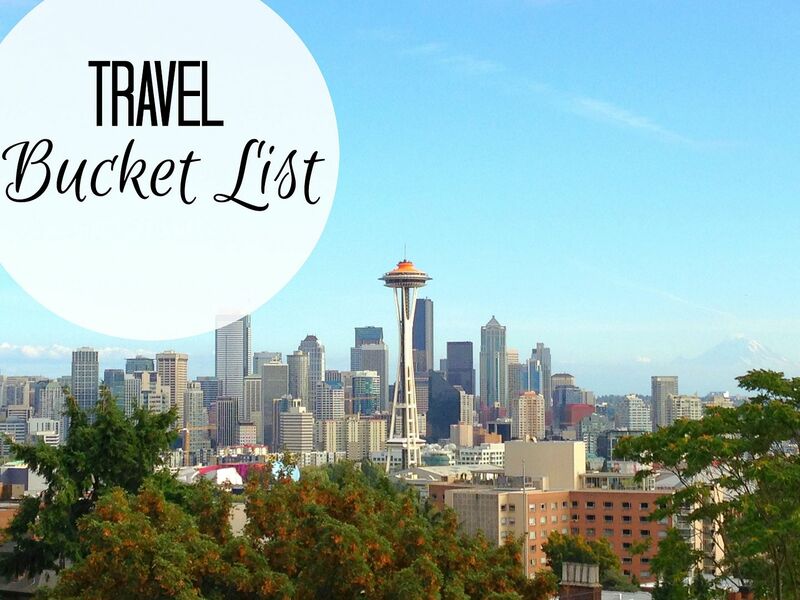 Such a fun travel list!